Scuba diving in Burma (Myanmar) is a truly fantastic experience, but at present not the easiest of things to achieve. The area was only opened up to recreational scuba diving and international tourism in 1997, and diving there is still only possible when starting from Thailand. There are thousands of islands and countless locations which are (or could be) world-class dive sites. Although there are opportunities to take a diving day trip from one or two luxury resorts within Myanmar, nearly all of the diving in the country is aboard liveaboard diving boats from Ranong, Khao Lak or even Phuket, in Thailand. These boats set sail in the evening near the border, process the necessary paperwork at immigration the following morning, then go diving in a truly unspoilt and beautiful area, normally without another diving boat in sight. At present, The Mergui Archipelago and Burma Banks are the only area in Myanmar for scuba diving. This group of 800+ islands lies in Myanmar’s south and covers a vast area. Liveaboard boats are only able to visit a tiny fraction of this wonderful part of the world because of the distances which need to be covered. The Burma Banks are quite far out to the west, and although fantastic dive sites the distance is sometimes just too far for some people. It could be that in the future, more diving opportunities open up in Myanmar, with the islands further north being accessed, but for logistical reasons, this would have to be done from within Myanmar. 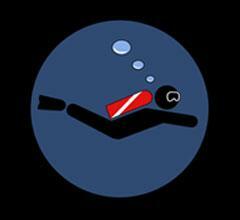 When this happens, we will offer all of the best dive boats and trips in Burma (Myanmar).